One of the main activities company IntTour, is an organization of conferences, holding international, seminars and trainings. Our experts will be happy to assist in organizing and conducting the important activities for you. we offer a range of services to corporate clients and business people organizations corporate thematic конференций and seminars, learning organization, team building and other training. We can carry out similar actions not only in Kazakhstan, но и за рубежом. We also offer the organization of visits to international professional events: выставки, конференции, конгрессы. Комплекс услуг включает полное сопровождение: получение виз, перелеты и трансферы, размещение в отелях и питание, организация культурной программы, услуги специалистов (переводчиков, гидов и т.д.). 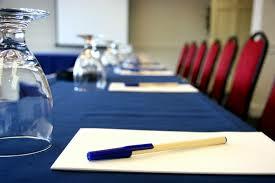 The organization of conferences and seminars in the company IntTour – correct solution! Contact us and we will select the most convenient and the best option organization and carrying out of business activities!